This is not the micorchip tha tis compliant with USEF, FEI, USHJ., which is the 134 Khz frequency. Please pick our your favorite chip package in our store. 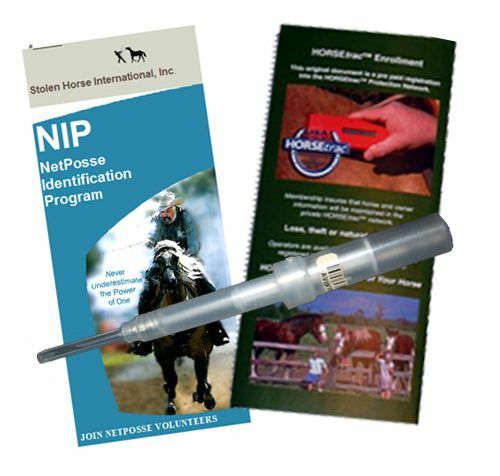 NOTE: Select for 1-4 horses - see other items for herds of 5 and up in our store under the header, Microchips.